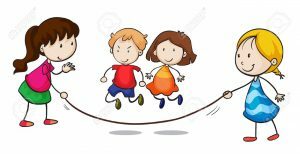 With our aim of achieving the Active School Flag this year the school has organised for all children to take part in a super active skipping workshop! The aim is to introduce children and teachers to the world of skipping. Skipping is a terrific form of exercise that helps a child’s agility, balance, hand-eye co-ordination and can increase speed through footwork. It teaches children about rhythm and when put into team routines, it provides them with team work skills and encourages them to have confidence in their sporting ability. It is a great way to exercise, maintain good health while having lots of fun. The workshop will take place over two days, Monday 21st and Tuesday 22nd of January. Every class will take part in a 40 minute workshop, and on Tuesday there will be a skipping masterclass by the instructor for all children to watch! The cost per child for the workshop will be €2.50. Also, there will be ropes available for the children to buy should they wish – each rope will cost €6. Payments can be made online via the Aladdin App.